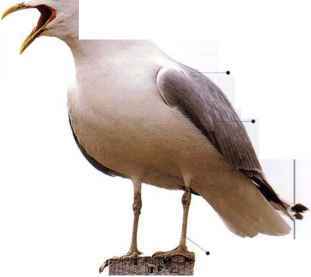 I his gull has a pearl-gray back and a black band toward the tip of its bill. 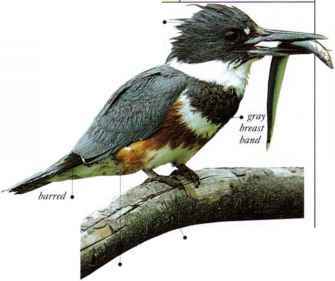 It nests in noisy colonics, usually beside a lake or reservoir, but in winter it is more often seen on the coast. It looks for food wherever the opportunity arises, catching fish, hunting invertebrates on the ground, or seeking out carrion. • NliST An untidy nest, made of vegetation, situated on the ground. • DISTRIBUTION Breeds N. North America. Winters in North and Central America, and in Bahamas and N. Caribbean.